Currently there are countless loyalty programs implemented throughout the world. These programs are a proven customer retention tool and they can help to insure your customers keep coming back. By offering access to rewards—often in the form of redeemable points or percentage discounts—an effective loyalty program provides your customers with a sense ‘elite status’ in the eyes of your organization. In exchange for this status, consumers tend forge a strong relationship with your brand or store; driven by the idea that the more they shop with you the more they will benefit. This model of loyalty program has worked exceptionally well over the past half century but today its effectiveness is starting to waiver. Modern shoppers are savvier than ever, and with technology giving them access to virtually limitless options, you’re not going to be able to lock in their business with a system of plastic and points. This new style of consumer has led to the next generation of customized incentives, designed to not only appeal to shoppers’ price sensitivity, but also their social and emotional motivators. 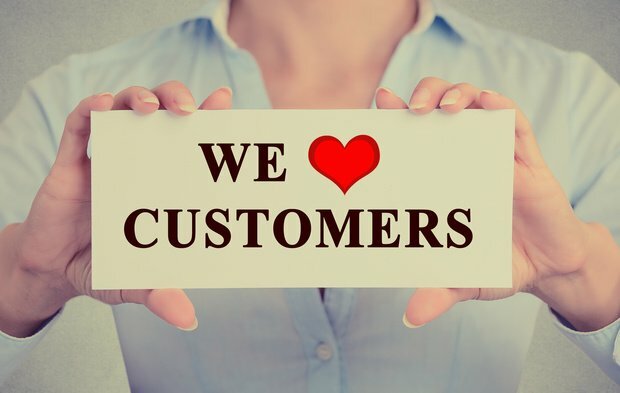 According to modern retail survey data, for many organizations although only a small number (12 to 15 percent) of customers are considered ‘loyal’, that group provides 55 to 70 percent of the organization’s business. Retaining this highly profitable demographic in the coming years will become more difficult and require adjustments to your loyalty program to meet the demands of a new generation. Loyal consumers now have an expectation of personalized rewards, tailored to their unique shopping preferences and habits. Examples of this strategy are abundant in the Food and Beverage (F&B) industry where razor thin-margins make mass discounts difficult to sustain. Instead businesses rely on data analysis to provide personalized discounts that increase as consumer loyalty strengthens. In an age where one is afforded limitless retail opportunities through ecommerce, mobile notifications, and social media, it’s no surprise that shoppers are expecting greater rewards for their loyalty. To keep up, your program needs to become as dynamic as today’s shoppers and should be flexible across a variety of platforms and devices. Millennials, who represent the largest group of smartphone users, are consistently on the go and very comfortable using technologies such as Bluetooth Low Energy (BLE) and Near Field Communications (NFC) to connect with brands. Within this critical demographic, businesses are seeing opportunities to abandon traditional loyalty cards for virtual apps. This transitions looks to merge digital payment with mobile coupons, product information scans, and reward redemption opportunities available at a tap on any enabled device. In addition to offering more value to shoppers, as a retailer this increased access to consumer information can prove invaluable in learning what motivates, discourages, or drives your customers toward a purchase. It is important to recognize that this knowledge needs to be used responsibly; it is important that you use this information to make consumers feel valuable and connected rather than violated. As businesses begin to understand new shopper expectations and user technologies, loyalty programs will see a major upheaval. The tactics that once proved successful, need to be redesigned align with today’s consumers. Air Miles ME has taken a big step forward by introducing ‘Air Miles Everywhere’. This program aims to enable virtually any business to reward customers with Air Miles through a smartphone or tablet. On the consumer side this new program is paving the way to ditching their card and moving the whole program into the digital realm. Shukran Rewards has integrated their loyalty program within a sleek smartphone application allowing users to view and use their rewards right from within the app. Though still in its early stages the app demonstrates the simplicity we can expect in future loyalty programs; allowing us to claim our rewards with a simple tap of the screen and enhancing the overall shopping experience. To get the most out of your loyalty program you need to consider personalization, community, and connectivity. Companies that are able to innovate and provide modern consumers with truly rewarding experiences will be the future for many shoppers.